In policy, academic, and urban planning circles, know that they hear your grousing about traffic and roll their eyes. Yep, traffic is bad. It drives you nuts. It’s not good for the environment: All that idling! But in the US, those pragmatic wonks have been pitching the same solution for decades. You just won’t listen. A solution to your traffic troubles is congestion pricing, which places a surcharge on certain roads at certain times of day. The policy essentially makes roads subject to the market, charging users more when supply is short and demand is high (say, rush hour) and less when there’s lots of supply and not much demand (say, in the middle of the night). You drive it, you buy it. But for decades, congestion pricing has been seen as a political nonstarter in the US, because it charges drivers—YOU—for something they’re used to getting for free. The charges have seen success since the early 2000’s in places like Singapore, London, Milan, and Stockholm. But now American-accented traffic whining has reached ear-piercing levels, and city governments are hurting for funds. So congestion pricing might, finally, be coming to big US cities, places like LA and Boston. Even New York. The honking, the beeping, the fumes: What would New York be without ‘em? New Yorkers will find out: If the scheme gets through this year’s state budgetary wrangling, it could kick in as early as 2021. New Yorkers might not be the only ones who have to start paying tolls to drive city streets. After decades of talk, serious-seeming congestion pricing schemes are popping up in a number of US cities. 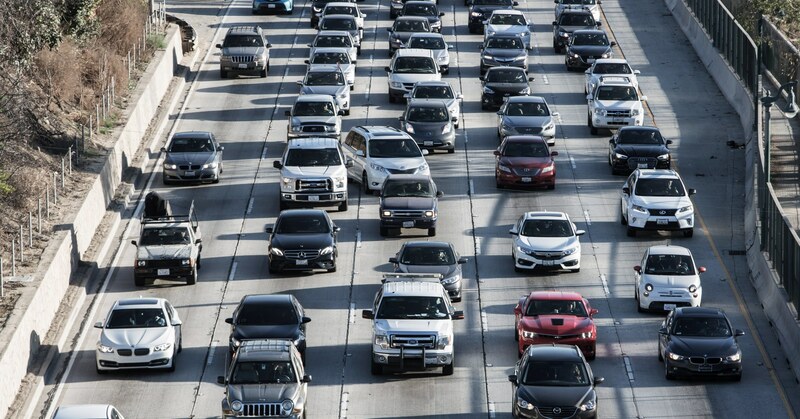 Los Angeles Metro officials, searching for a way to pay for 28 ambitious transportation projects by the time it hosts the Olympics in 2028, have floated a suite of congestion pricing ideas: charging drivers per miles traveled, or turning carpool lanes to toll lanes, or levying fees on those entering busy neighborhoods during busy times. Today, the Metro’s board unanimously upvoted a one- to two-year feasibility study of the idea. Seattle Mayor Jenny Durkan said late last year that her administration has begun to study congestion pricing, and that she wants to implement some plan by 2021, the end of her current term. Proposals are also bubbling up in Boston, though no official legislation on congestion pricing has been introduced. So cities hurting for funds is one factor that’s made charging drivers feel more viable. Another is the decline of transit—three of those cities have seen ridership dips in the past five years, and they need money to turn it around. (Seattle is the exception.) Meanwhile, app-based services like Uber and Lyft have made people more comfortable with the idea of paying per mile or per ride. And leaders are realizing that even the widest highways won’t reduce traffic. Instead, they tend to induce drivers to take more trips, leaving congestion levels the same and sometimes making them worse. Another reason congestion pricing suddenly feels possible: Today’s city residents, especially young ones, seem to see cars more as transportation tools than as extensions of their identity. Which means they might be more willing to give up that steering wheel for alternatives, like transit, bikes, or ride-hail apps. “A certain number of people who grew up hardwired into car culture had to yield the stage,” says Charles Komanoff, a transportation analyst and longtime New York City environmental activist. “They had to be supplanted by new generations of people who look at cars and driving functionally, rather than culturally or ideologically.” If driving is no longer the status quo, then it becomes easier (at least politically) to charge tolls. Despite all this, there are potholes ahead. Critics have long argued that congestion pricing is regressive, putting an unfair burden on low-income people without access to public transit. Manville points out that the poorest city residents often can’t afford cars, which means free roads are more like a subsidy for higher income people who can. He also argues toll revenues can offset costs for lower-income drivers—by plowing those funds back into public transit alternatives, or by providing a direct subsidy, like governments do for heating and electric bills, and even public transit. And political opposition remains: In cities where the charges have been proposed, more than a few politicians have come out strongly against them. Then there’s the whole implementation thing. Charge too much money, and you have a useless road that no one will drive on. Charge too little and “you’ve given people the worst of all worlds,” Manville says: A trafficky street that everyone pays to drive on. Which is all to say: congestion pricing is hard work! But so is driving in traffic. And living and working in a city with fewer cars and more alternatives might be worth the effort.